StateWide Termite and Pest Control is very skilled in Pest Control Services! Call our Oklahoma City Pest Control and Termite Remediation Specialists. Our Inside-Out program for ants and cockroaches relies on two cutting-edge “undetectable” control products to attack these pests on all fronts: Phantom inside and Termidor outside your home. Together, they form an incredibly versatile, comprehensive pest control tandem, that can be adapted to your particular situation. As pest control professionals, we will recommend the program best suited to your problems. 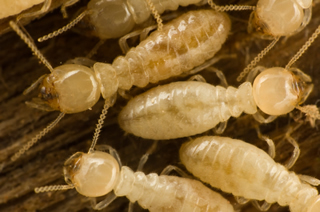 Call StateWide Termite and Pest Control for the best in termite remediation. 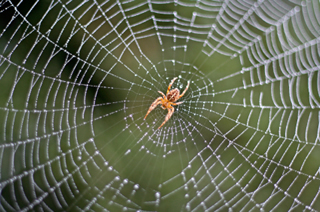 Ridding your home of spiders can be a challenging task. It will take a multi-front approach to achieve this goal. First, the insect population in your home must be kept under control. Remove their prey and spiders won’t have a reason to stay. Second, we must maintain a barrier (mechanical and chemical) around your home so spiders don’t accidentally stroll inside. If spiders haunt your dreams then we would recommend quarterly inspections and treatments to eliminate insect activity and maintain barriers. We offer special pricing for both quarterly and twice a year commitments. Our Termite Remediation and Pest Control Specialists are looking forward to helping you. Call our OKC Pest Control and OKC Termite Remediation Specialists Today! Have a termite problem? If so Call NOW! Get termite remediation before it’s to late! Are crazy spiders, termites or any other pests driving you up the wall? Then Call StateWide Today! You will be glad you did! Simply pick up the phone and call!